Welcome to the Sunset Strip! Welcome to the Sunset Strip where all your wildest dreams can come true…it’s where Strictly Come Dancing 2018 WINNER KEVIN CLIFTON transformed from dance floor diva to ROCK GOD! 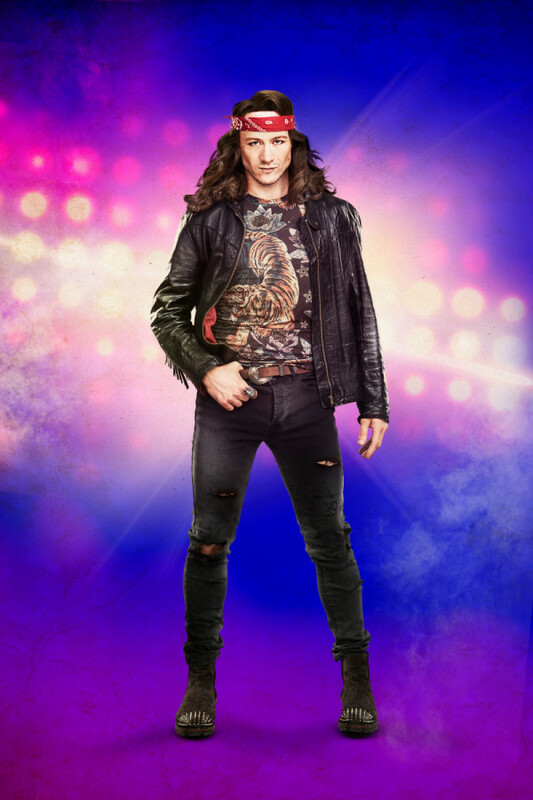 Dan Looney, Adam Paulden, Jason Haigh-Ellery, Selladoor Worldwide and Gavin Kalin are delighted to announce, Kevin Clifton and Antony Costa will join the cast of the award-winning smash-hit musical “ROCK OF AGES” in the role of ‘Stacee Jaxx’. Kevin Clifton will play the role from 22 January until 6 April 2019 and from 11 June until 3 August 2019. Antony Costa will join the production for eight weeks from 8 April until 1 June 2019. Kevin Clifton is an international Ballroom and Latin dancer and has won numerous titles across the world, including winning the Britain Latin Championships four times. He is best known as a Pro Dancer on BBC one’s, ‘Strictly Come Dancing’ and is the only pro dancer to ever dance in four consecutive finals. Kevin made his musical theatre debut in ‘Dirty Dancing the Musical’ at the Aldwych Theatre in London’s West End. Kevin then went on to become a principle dancer in Burn The Floor Dance Company and performed in the show’s record breaking Broadway run, in London’s West End and across the world. Kevin has also toured nationwide with Karen Clifton in 2017 and 2018 in their theatre show, ‘Kevin and Karen Dance’. Antony Costa is best known as a member of the hugely successful boyband ‘Blue’ who have had three number one albums. Antony’s previous theatre credits include the role of ‘Mickey Johnson’ in the West End production of ‘Blood Brothers’ and the UK tour of ‘Save The Last Dance For Me’. Most recently he played the role of ‘Roger Meadows’ in the UK tour of ‘A Judgement in Stone’. They will both join the previously announced Kevin Kennedy who will play ‘Dennis’, Zoe Birkett ‘Justice’, Luke Walsh ‘Drew’, Lucas Rush ‘Lonny’, Jodie Steele ‘Sherrie’, Andrew Carthy ‘Franz’, Vas Constanti ‘Hertz’ and Rhiannon Chesterman ‘Regina’. Sam Ferriday will play the role of ‘Stacee Jaxx’ until 9 December 2018.